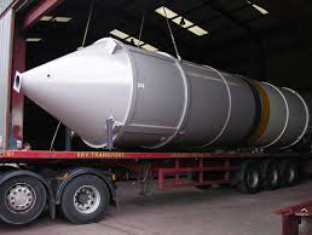 Concrete silo is a kind of closed material storage container, which is suitable for storing grain, cement, fly ash, dry power, various mortars and other materials. 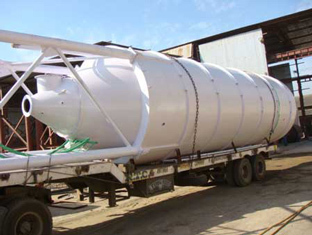 The body of the sand storage silo is equipped with a material levering system, which can accurately display the position and volume of the material. Silo for cement is also equipped with hole breaking device, which can release the caking of materials after long time deposition. In general, concrete silos are divided into bolted cement silo and welded cement silo, and it is generally used in various construction projects, civil architecture, water conservancy, and national defense works, such as water conservancy, highway, bridges, dams, concrete plant and etc. Being one of the most famous cement silo manufacturers in China, our products have favorable price, easy installation, large storing capacity and long service life, which have sold very well at home and abroad. Our machine has compact structure, high quality, large capacity, reasonable price, easy installation and maintenance. The spare parts of our equipment adopt world famous brand, which ensures that our machine will have very good performance. With the screw conveyor, the materials can be conveyed to a certain position easily. It is equipped with filter, which can greatly reduce the air pollution. If you are interested in our concrete silo for sale, welcome to contact us for detailed information.